After the Maharashtra police initiated an inquiry into a complaint against filmmaker Karan Johar, actor Arjun Kapoor and Ranveer Singh, which alleged that the trio had used "filthy and abusive language" in the comedy show AIB Knockout held in Mumbai, the All India Bakchod decided to pull down the video from YouTube. Have taken down AIB Knockout for now. We will speak soon. 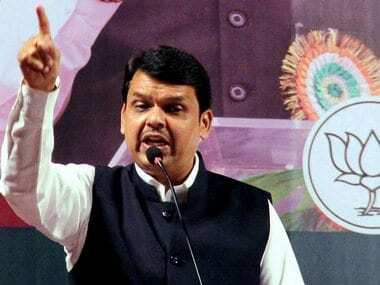 The move came after the Maharashtra Chief Minister Devendra Fadnavis had said that the government will take action against AIB, if the show was found to be vulgar. "If the AIB roast was vulgar and not in accordance with the law, then we will act." The roast, the first of its kind in India, featured a panel of eight and 'Roastmaster' Karan Johar, 'roasted' actors Ranveer Singh and Arjun Kapoor, subjecting them to jokes about their on-screen and off-screen lives. According to reports, 4,000 people attended the show last week in Mumbai and later it was uploaded on YouTube, which went viral. The Maharashtra culture department also issued a notice to the NSCI (National Sports Club of India) club, where the AIB roast was held, asking whether a censor certificate had been sought to stage the event. Ranjit Patil, the state minister for home, said websites selling the AIB Roast tickets would also come under the scanner, reported Hindustan Times. Political parties in Maharashtra also threatened to stop the films of Karan Johar, Ranveer Singh and Arjun Kapoor and said that the government should file FIR against them too. Shiv Sena leader Ravindra Waikar said that the show was 'vulgar and derogatory'. "The government should file an FIR against not just the organisers, but also the participants, he said. The Raj Thackeray-led Maharashtra Navnirman Sena (MNS) threatened to stop films of director-producer Karan Johar and actors Arjun Kapoor and Ranveer Singh from releasing in the state unless they tendered an "unconditional apology". According to the written complaint by Akhilesh Tiwari, President of Brahman Ekta Seva Sanstha in Mumbai, filed at Sakinaka police station on Monday, the trio, along with other performers allegedly passed abusive and offensive remarks against one another and even at the audience during an episode of the AIB Knockout, police said. In his four-page complaint at Sakinaka police station, Tiwari sought a criminal complaint against Johar, Kapoor and Singh as well as the show organiser, among others. "I have handed over a letter to the Sakinaka police demanding a criminal complaint be lodged against these so-called youth icons Karan Johar, Arjun Kapoor and Ranveer Singh. The show, which can be seen on YouTube and other websites, was extremely abusive and it is not only ruining the clean image of the Indian culture & women, but is also misleading today's youth," said Tiwari. "The police action would be a deterrent to them so that they would not dare to do such acts publicly in future," he said. The statements of various Christian organisations have also been recorded by the Mumbai police as these groups have taken offence to the participants’ mockery of Catholic priests. Many took to Twitter to express outrage at the 'moral policing' and to support AIB. Not your cup of tea...don't drink it!!! We stand by AIB Knockout- why not file a FIR against all the people in the world? Cause everyone, I repeat EVERYONE uses abusive words. 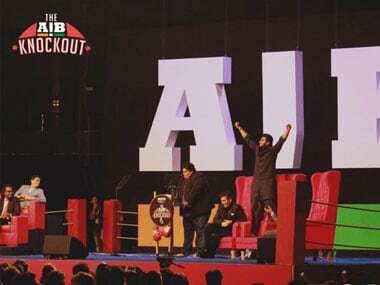 I hope our humour gets sharper, our dissent more rigorous, our satire more offensive, and till we arrive there, We Stand by AIB Knockout! I strongly condemn Moral Policing attempt by Right Wing Hindu Fundamentalist against AIB. Sanghis have no sense of Humour. Tch Tch so sad !